Cam is back from his Super Bowl celebrity circuit, back to being a normal college student. How normal? 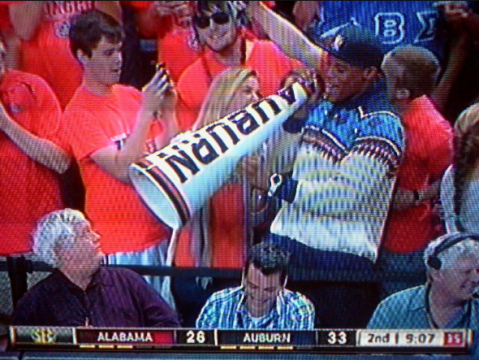 Leading cheers in the student section at Auburn’s basketball game against Alabama normal, and blessing the student section with the spirit to energize the team to a 49-37 over the Tide. 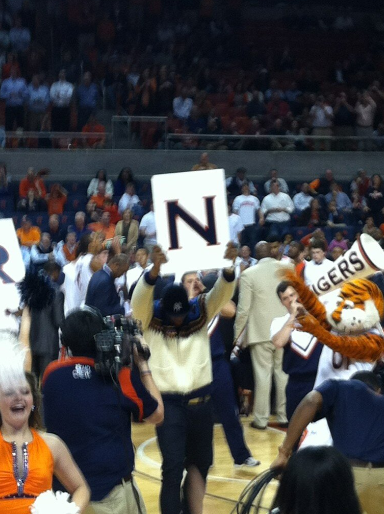 Here’s video of he and his players talking about their secret secret weapon. 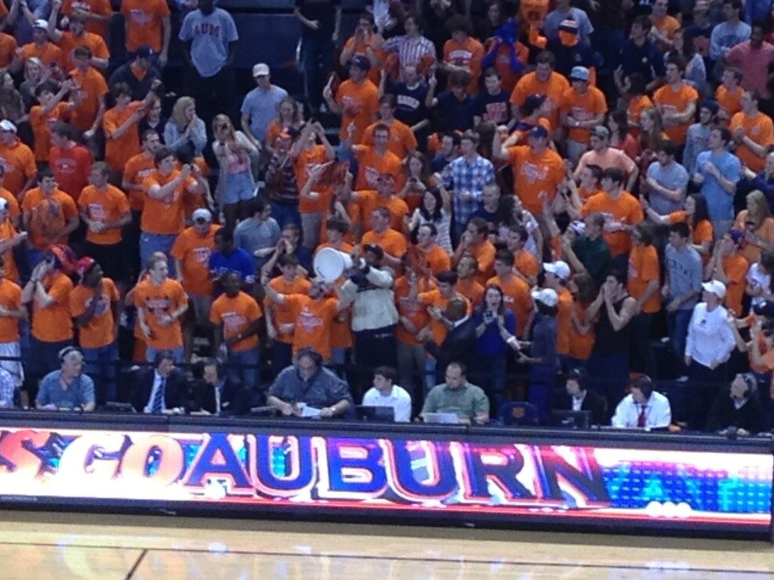 “Let’s go Auburn.” Clap, clap, clap, clap, clap. Phil lacks a sense of humor. That picture is priceless. Cam is playing with him and he is just such a grumpy old man. Everybody else is smiling and laughing. 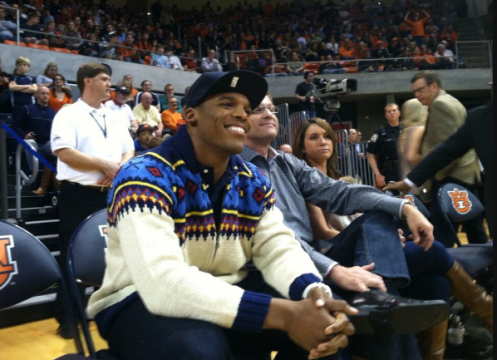 Is there anything cam can’t beat Bama in? Phillip didn’t know it was Cam at that moment. Not so grumpy in this one.